We are very excited to brag about not one, but three of our NYCWD clients. Check out one of our recently engaged couples, who are being featured on Wedding Wire’s spotlight for having one of the most creative Engagement Announcement Photos. And the amazing photographer also featured in Wedding Wire’s feature story, also happens to be an NYCWD client! Check out the reviews these wonderful client’s took the time to write about their experiences with NYC Wholesale Diamonds. “I want to thank Keith for the best diamond engagement ring ever!!! We were in NYC for business. I had no intensions of buying a ring. After seeing an associate’s gorgeous ring, I asked where she found it. She got me in touch with Keith and I saw him the next day. 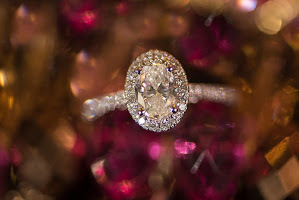 Keith explained all of the aspects of the perfect Diamond and setting for my girl friend. Of course Keith had the perfect diamond for me to inspect. After the deal was set he asked me when the Big day was. Merinda’s birthday!!! August 15. Keith gave me some great advice and during our talk we came up with an even better idea. Our house is in Totality of the August 21, 2017 solar eclipse. Do it then!!! Thank you, Keith you are a Genius!!! Your interest in me and our day made it better than could have been imagined. You and NYCWD are the Best.